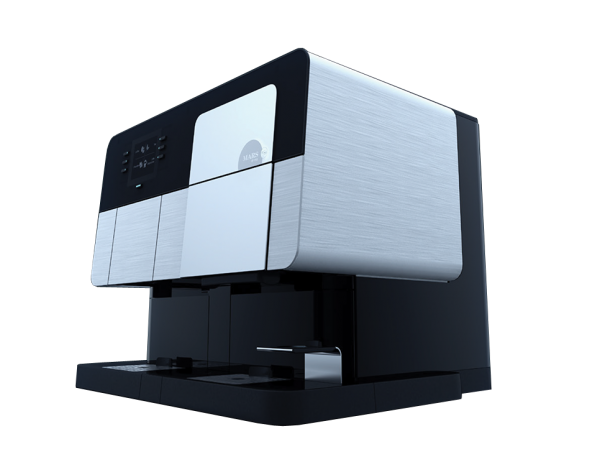 The Mars Drinks FLAVIA Barista is more than just a coffee maker; it’s like having a coffee shop expert in your office. That’s because it’s the only single-serve office brewer that crafts perfect coffees, teas, lattes, cappuccinos, and authentic espressos, all at the press of a button. In fact, the only thing it won’t do is misspell your name on a big paper cup. Water supply- plumbed or pour over. Water supply requirement- cold potable sodium-free water. Water tank capacity(unplumbed): 84.5 oz (2.5 L). Freshpack bin capacity- 23 freshpacks on left side, 35 on right side. Water filter-external water filter recommended to ensure proper performance. Drip tray- removable, dishwater safe.